The last three months have gone by so fast. First, having the Spring Council Meeting with preparation for Zone Conference. Our Zone Conference was March 30th, 2019. Hosted by the St. Marys Kinette Club, and celebrating their 50th Anniversary which was actually March 1st. 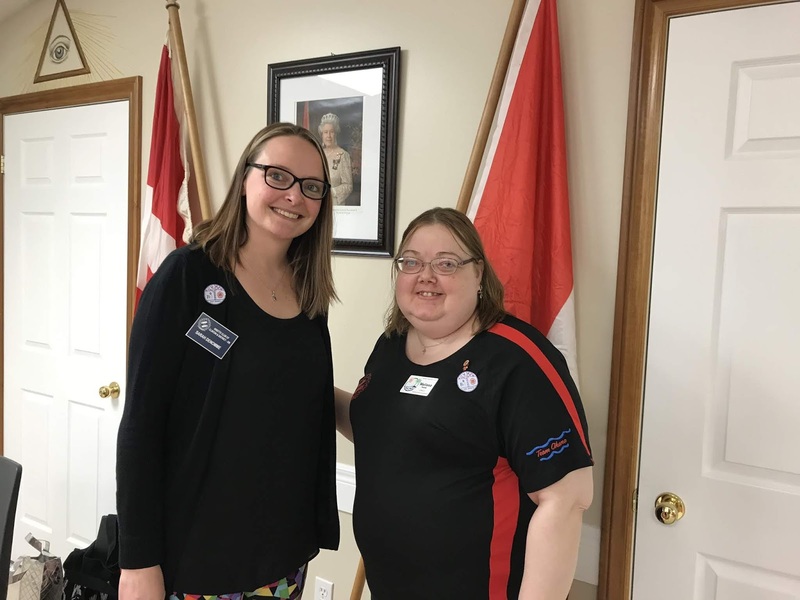 I am happy to announce that Sarah Denomme from the Clinton Kinette Club was elected as Zone K Kinette Deputy Governor-Elect. Jill McCullough from Clinton won the Zone Bulletin Award. Plus, their club has enlisted a few new members. The best-dressed club with the Conference theme went to the Mitchell Kinettes. 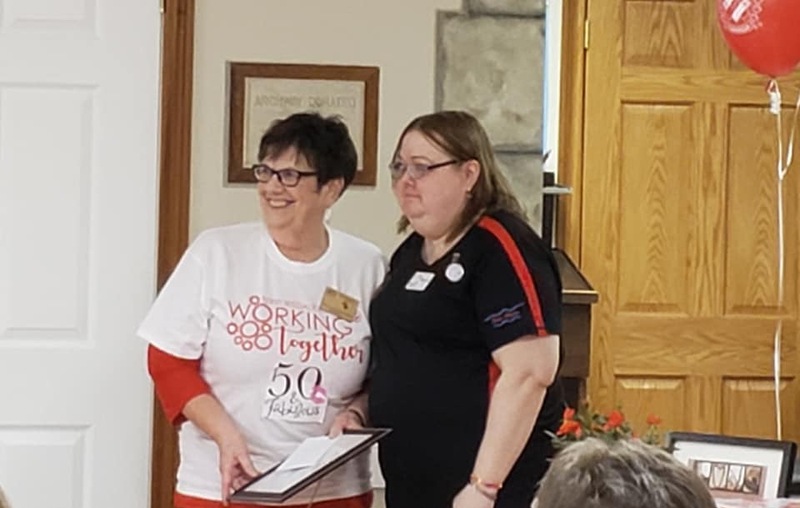 With two really great jokes in the Joke-Off, Phyllis from St. Marys Kinette and the only Charter Member of the St. Marys Club which is a huge accomplishment! St. Marys is still going strong. We may have made history in having Zone Conference done in record time. Hensall Kinette on a roll with membership growth. Congratulations to all! Sarah Denomme our Zone K Kinette DG Elect and myself. St. Marys Chartered Life Member Phyllis Spearin! After over two months of canvassing local business's, organizing and grouping items, the Clinton and Goderich Kinsmen and Kinette Clubs held their 28 Annual TV Auction on March 1 & 2. Starting Friday night and again all day Saturday over 830 Items with a retail value close to $79,000 where up for grabs. The people of Goderich and Clinton area were very generous with their bids and help the Clubs raise over $54,000 that will be put back into the communities. 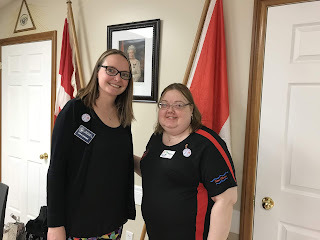 Over $1000 was also raised for Cystic Fibrosis.The members of the Kinsmen and Kinette Clubs of Goderich and Clinton would like to thank all the business for their generous donations, large or small. Without you we would not be able to help us serve our "Communities Greatest Needs". We also have to thank all our volunteers who helped us by answering phones, live auctioneering, or any other duties that you preformed for us. Also to everyone who watched and participated in the bidding, a huge thank-you to you. Without all of you we could not raise the money we do. Our communities are stronger because of you! Our members have had alot of fun participating in the TV Auction and are already preparing our 29 Annual TV Auction for next year.